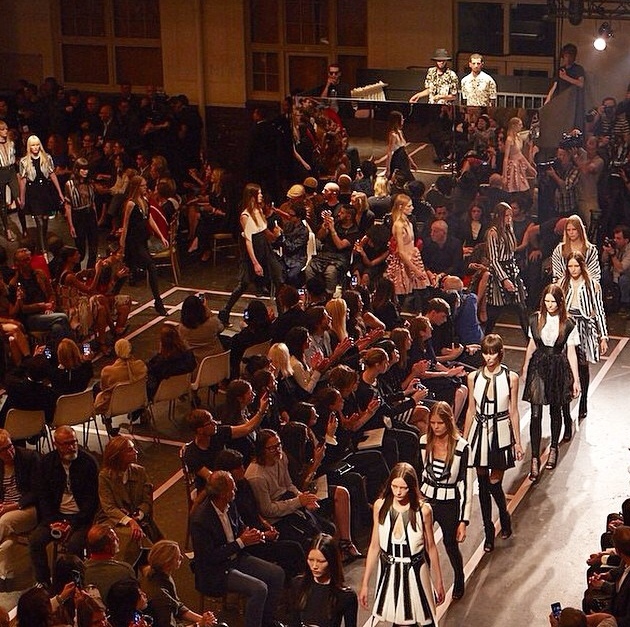 Riccardo Tisci brought us a mostly monochrome pallet with variations on the famous little black dress. I loved the lace up booties and all the foot ware used in his 2015 spring/summer show. 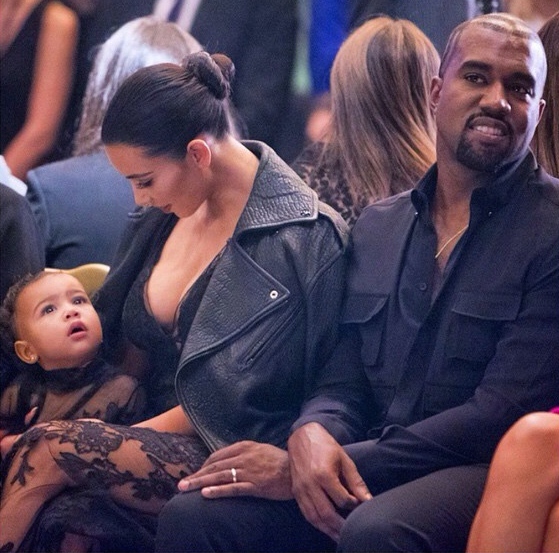 Of corse Ricardo got Kim, Kanye and North West to sit front row for some star power! Tisci also had Kendal Jenner in his show as well. There was lots of beautiful lace and creative jackets. Here is some highlights from the show.